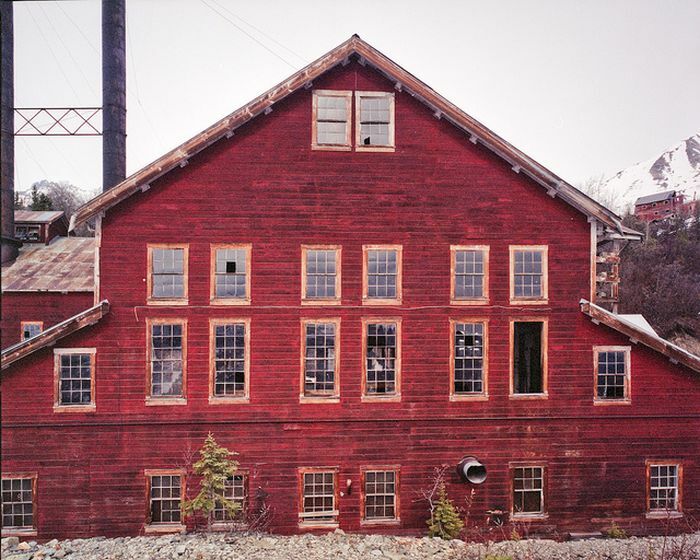 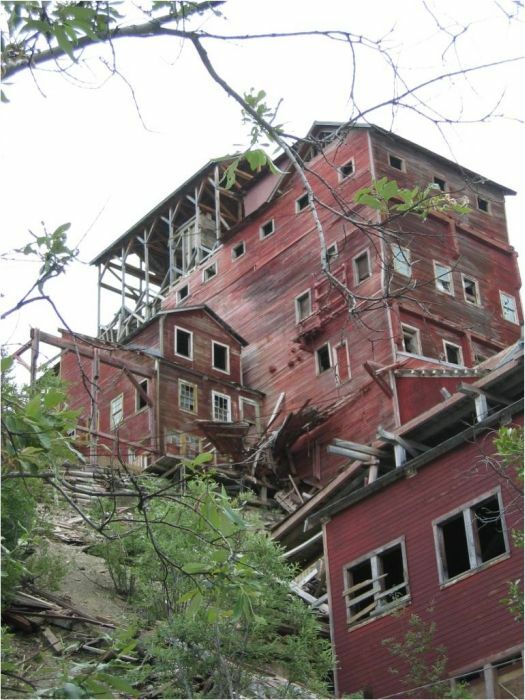 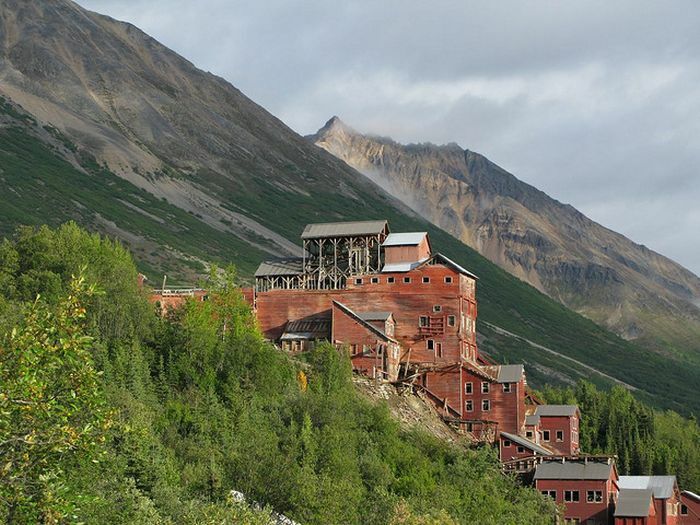 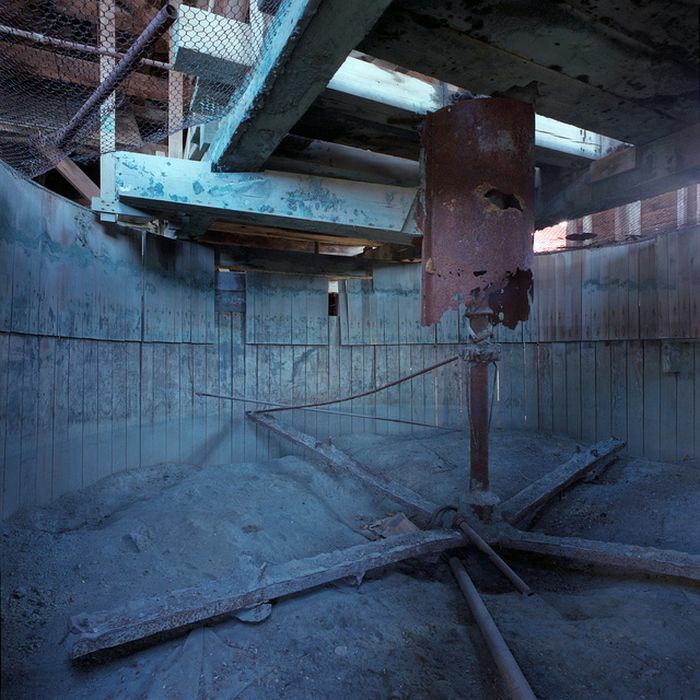 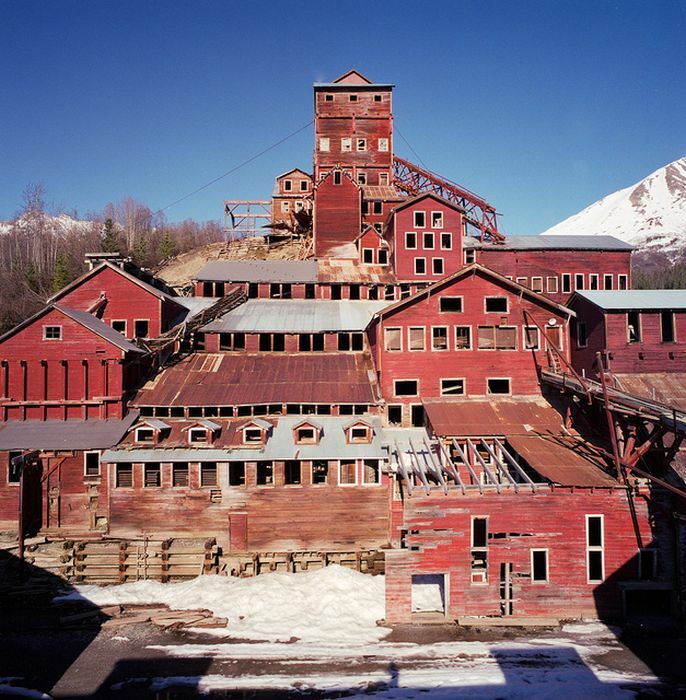 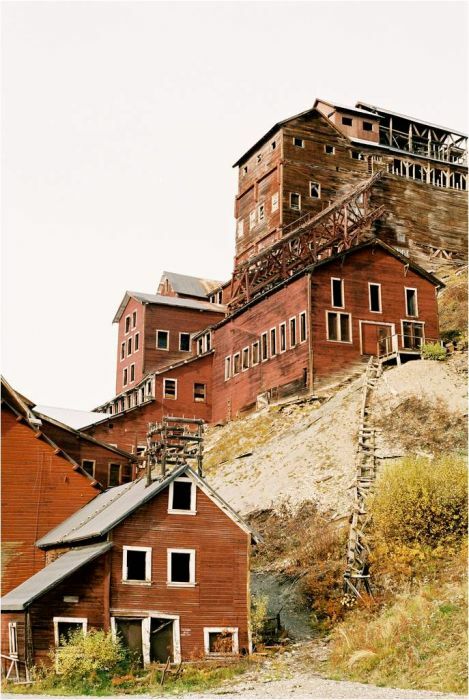 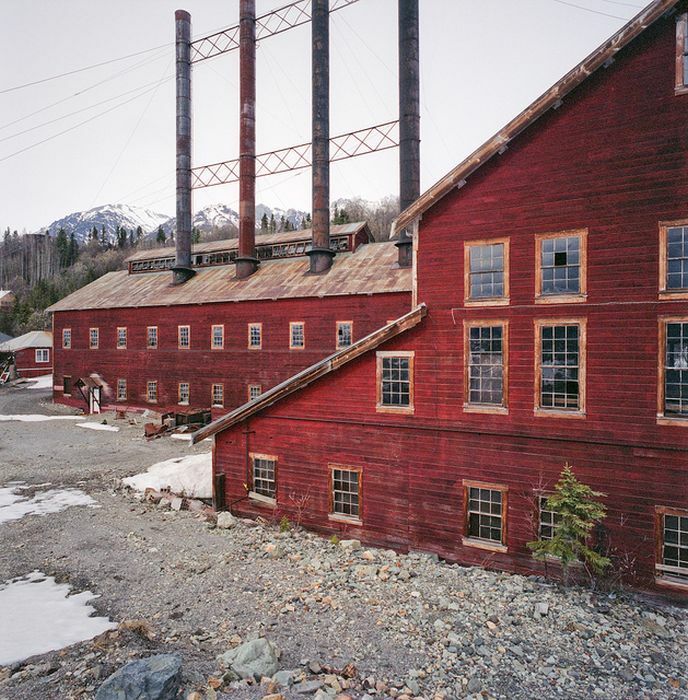 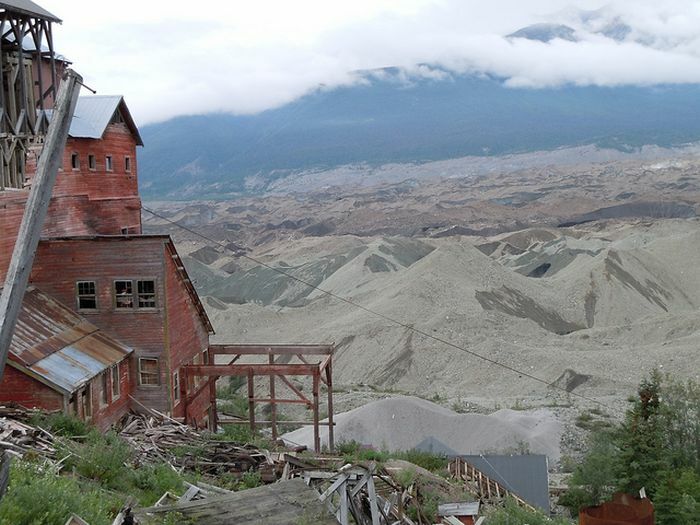 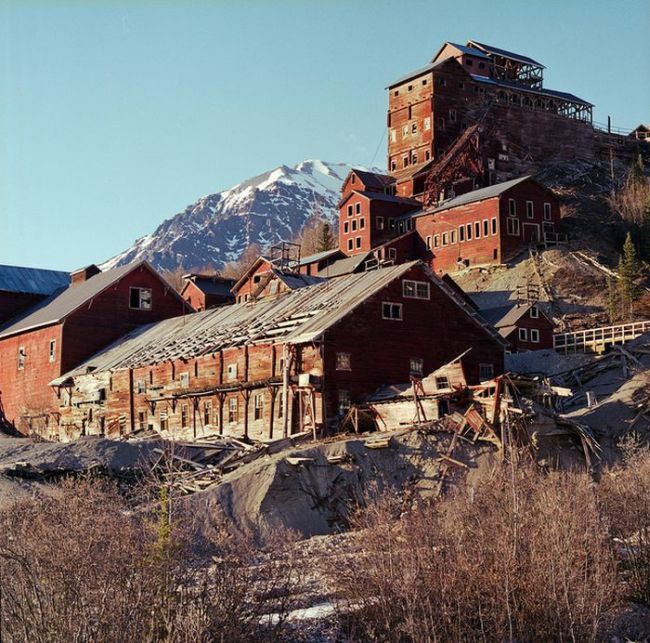 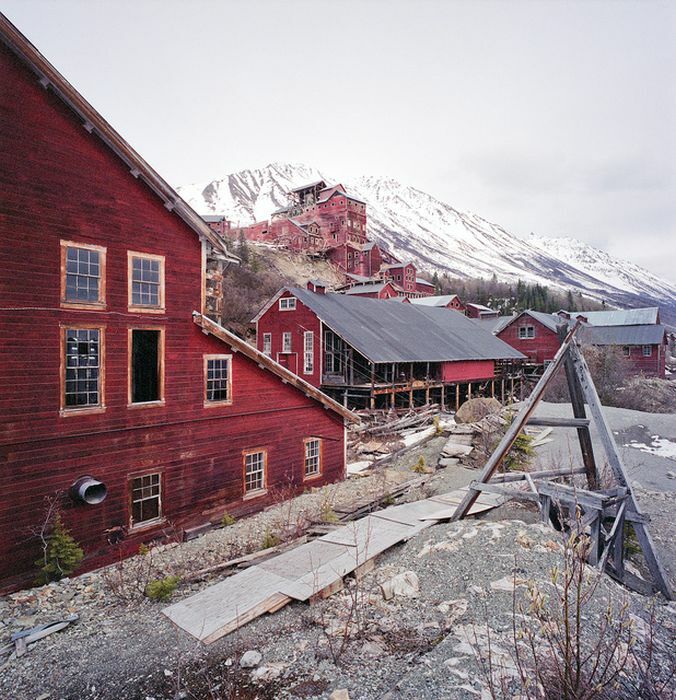 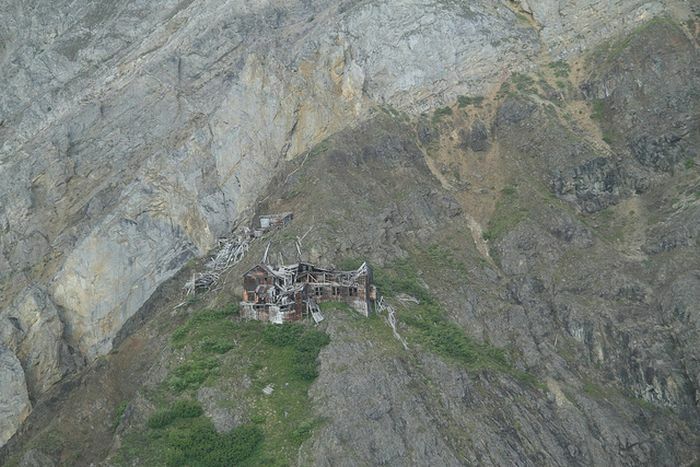 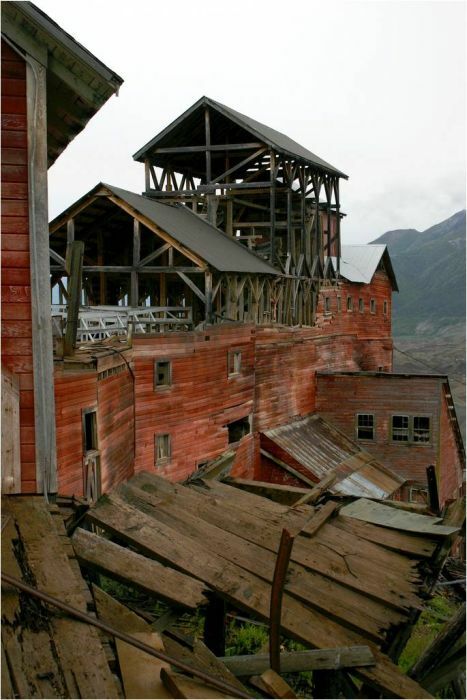 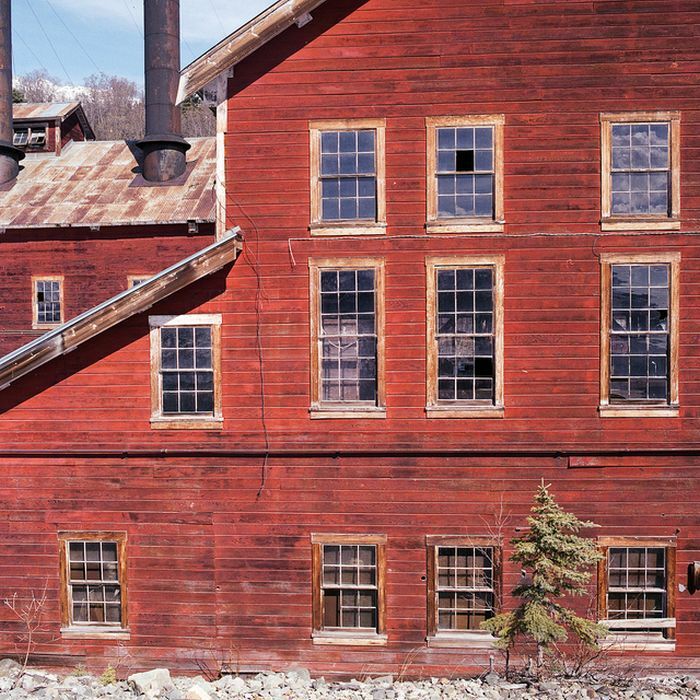 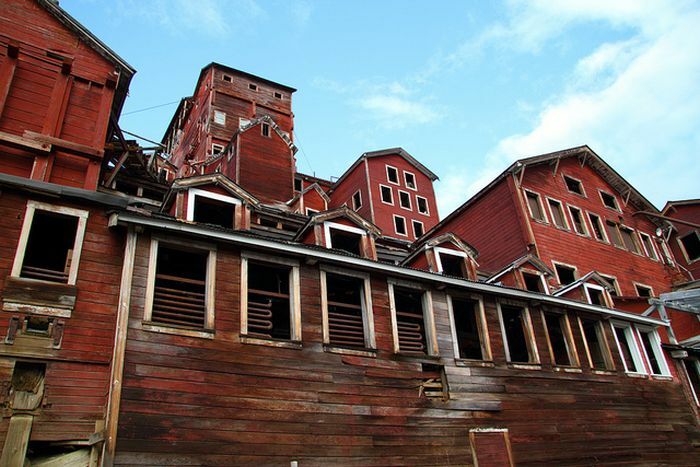 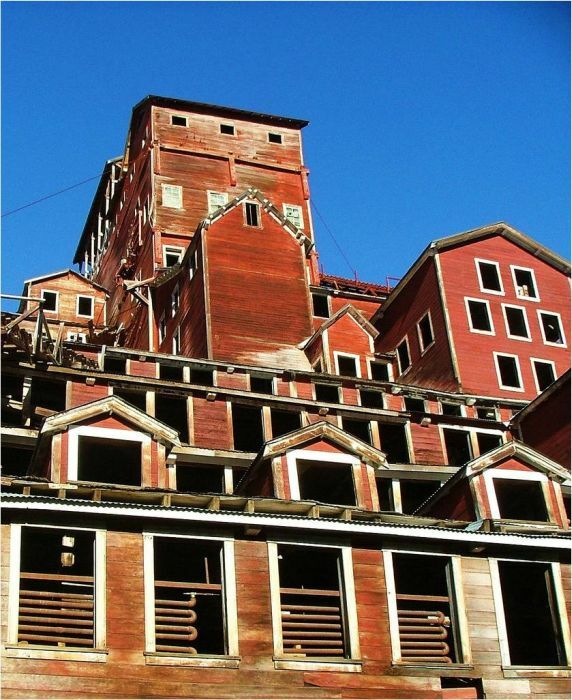 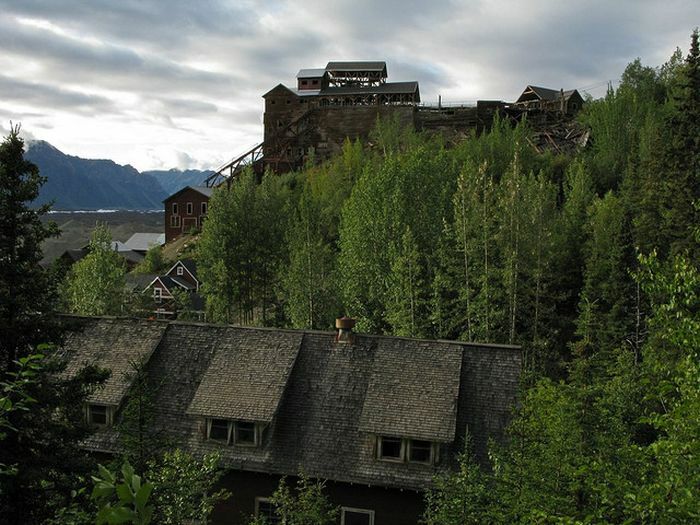 The Kennecott Mine Camp is an abandoned Alaskan boomtown. 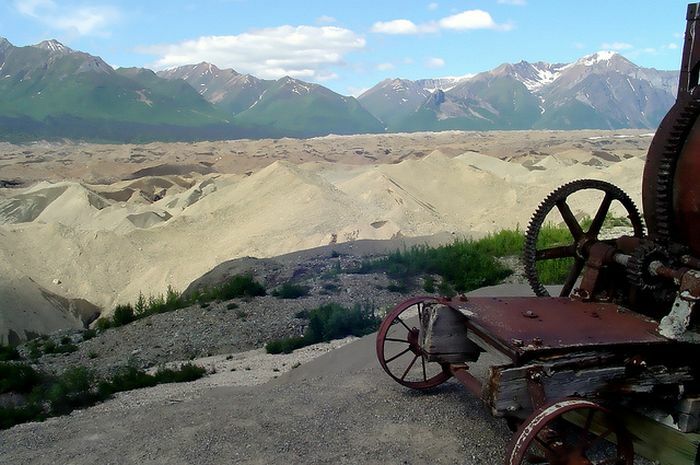 In 1900 a massive deposit of copper ore was found in this area. 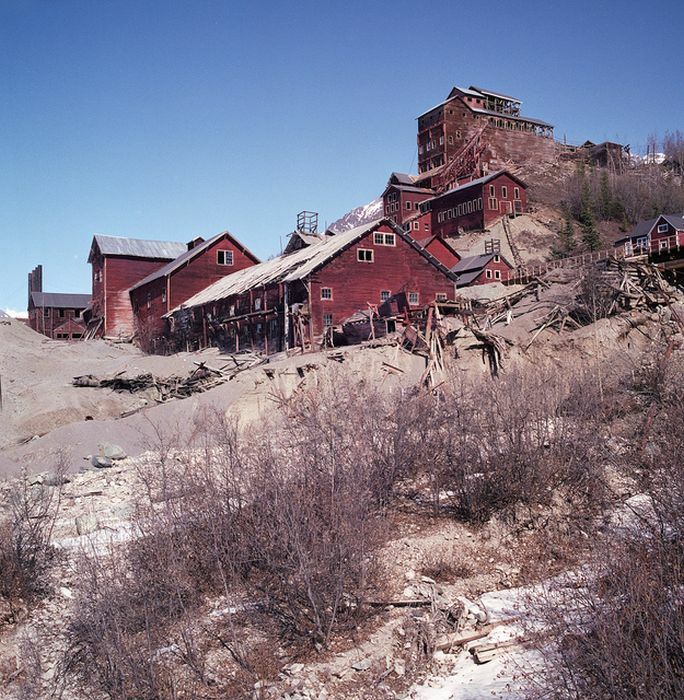 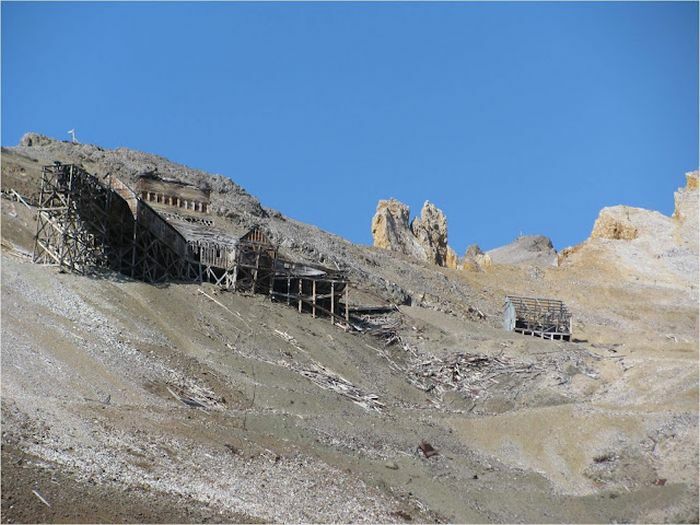 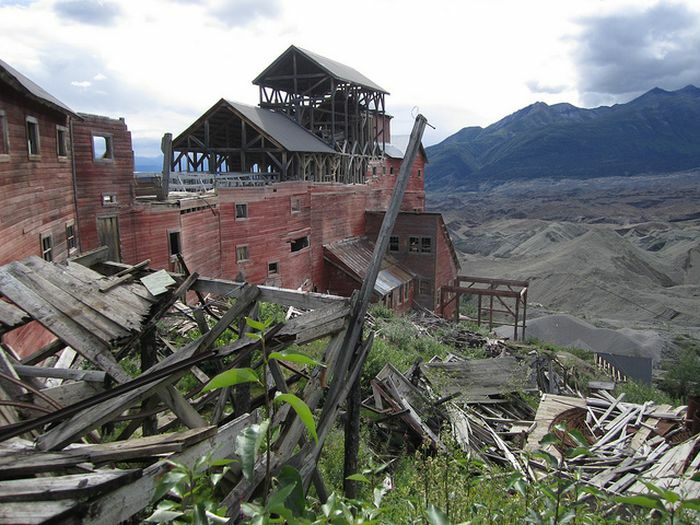 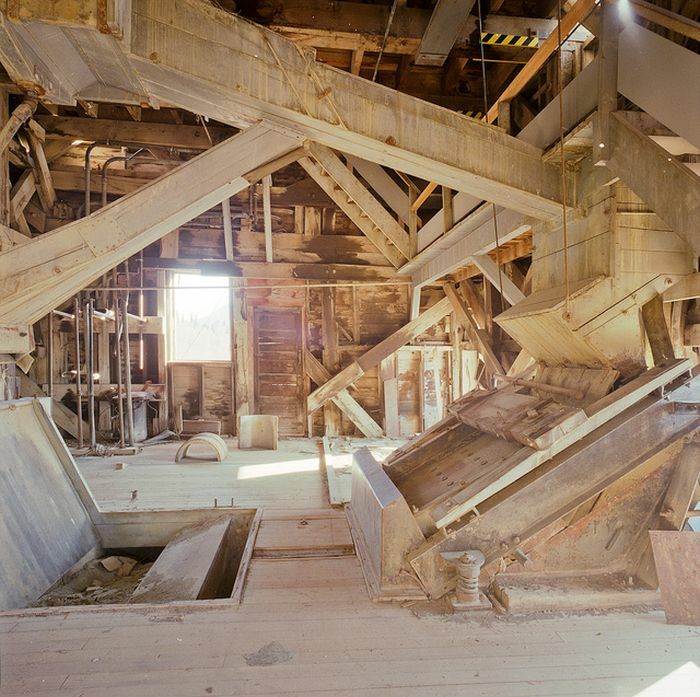 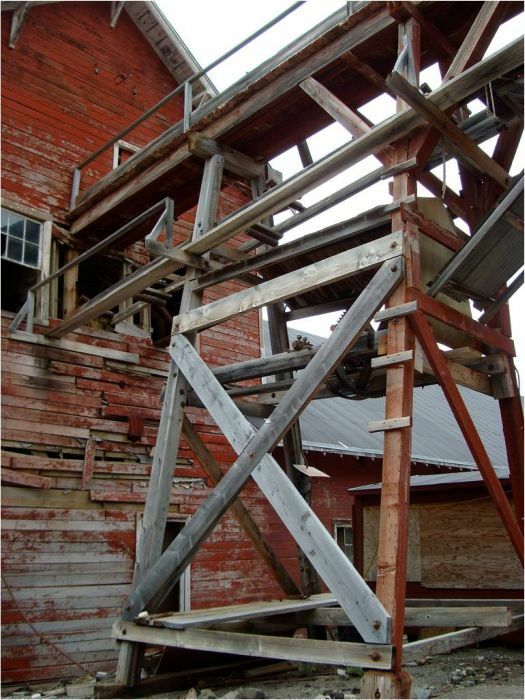 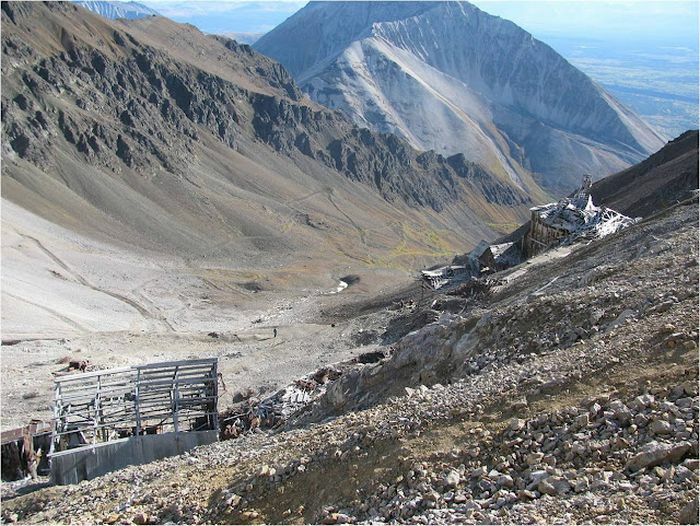 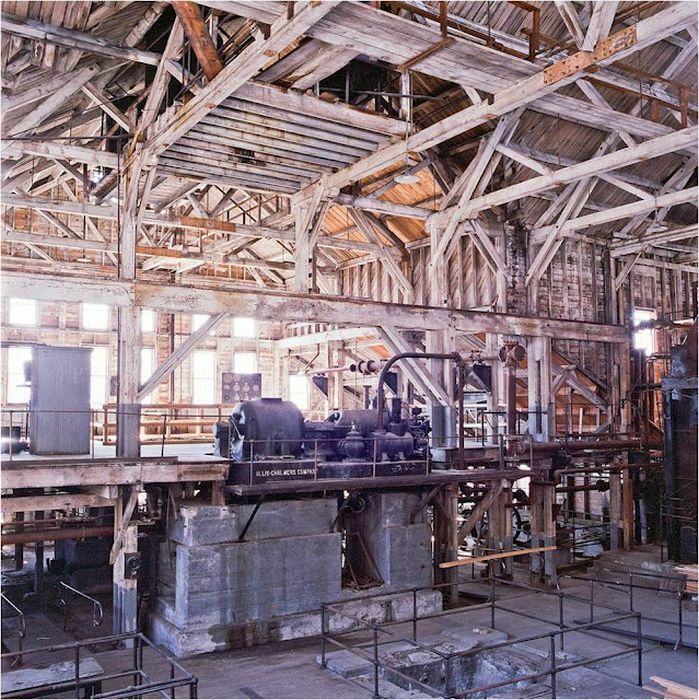 By 1939 the copper was exhausted and Kennecott Mine Camp stays abandoned since then. 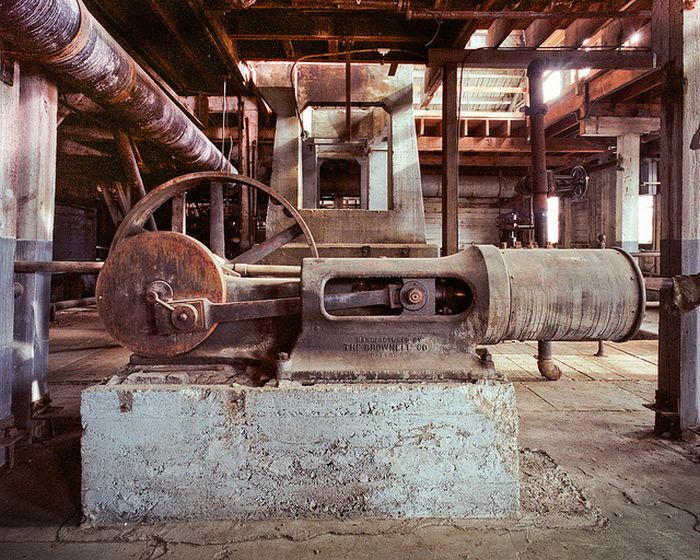 For something abandoned for over seventy years a lot of it is still in great shape. 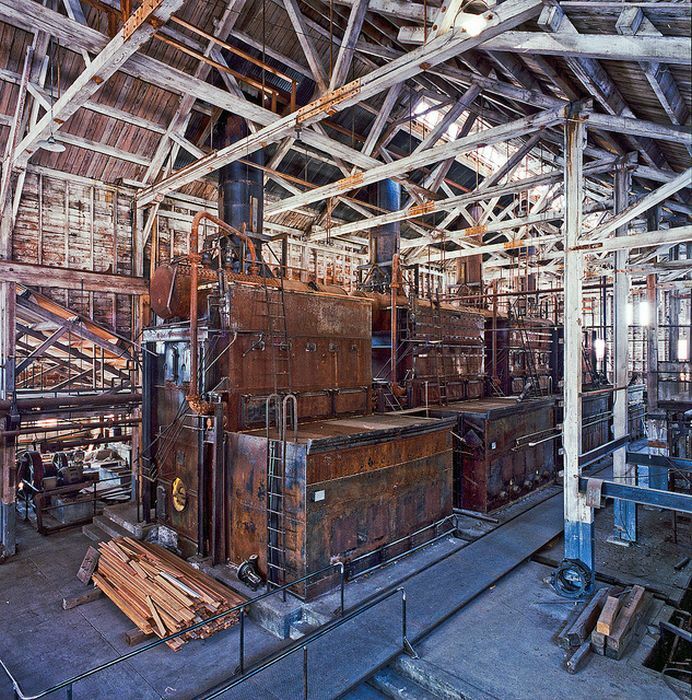 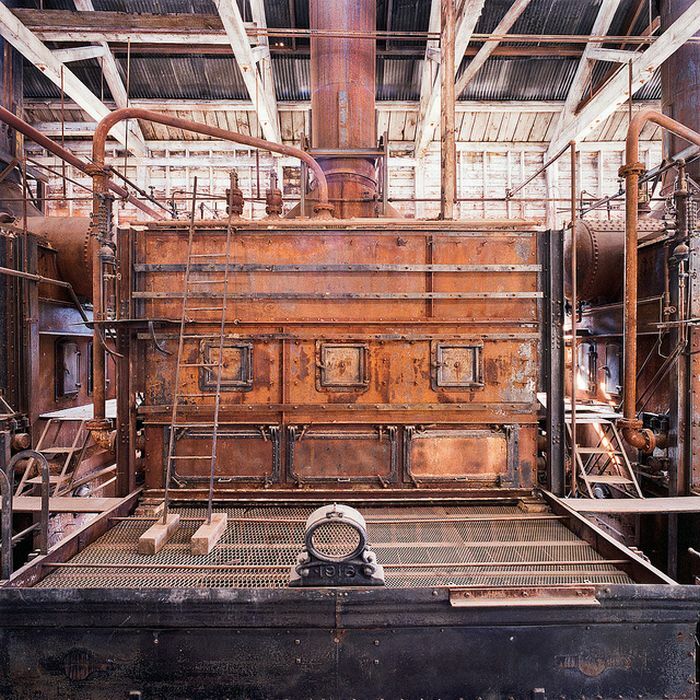 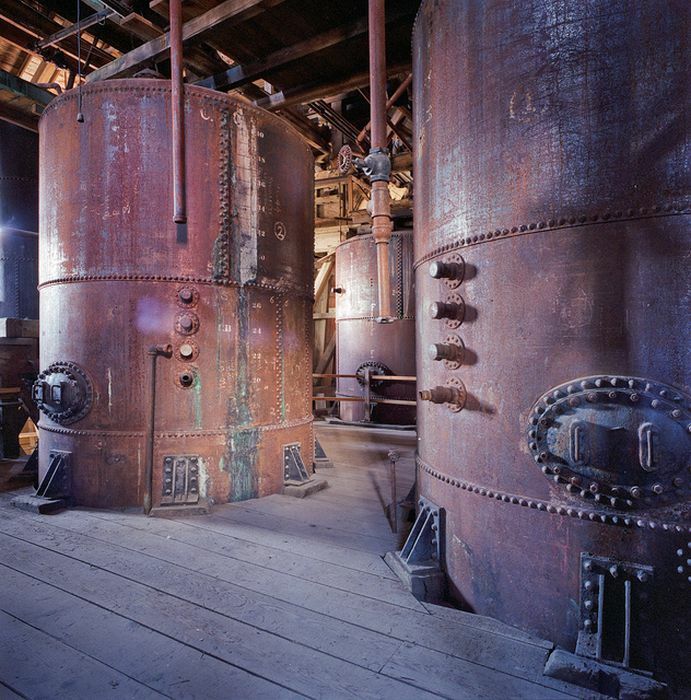 The boiler house still appears dry inside, so really built to last. 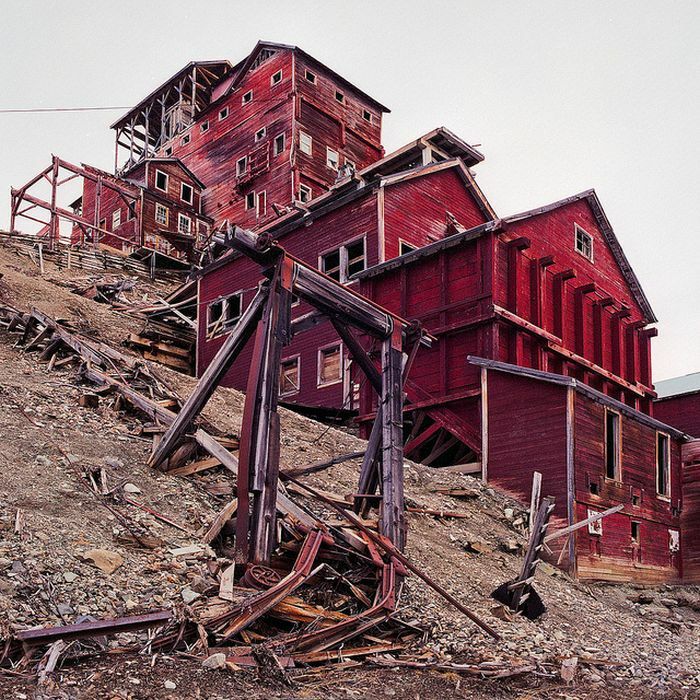 Probably helped by the cold atmosphere, nothing ever gets to rot. 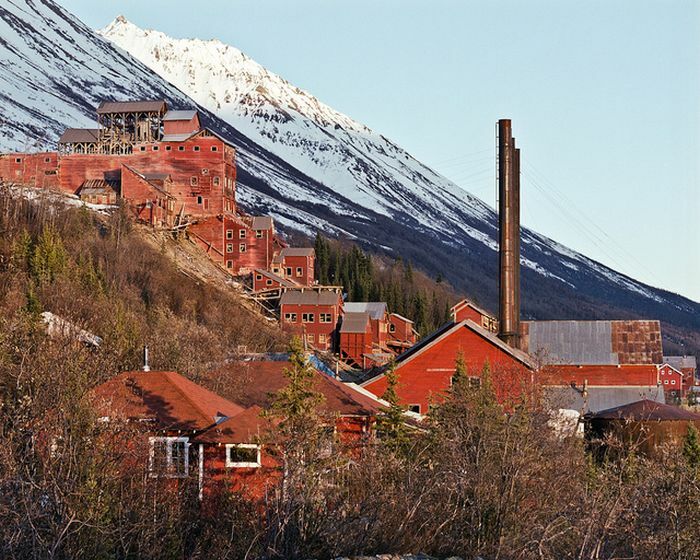 Nearest town looks like Mccarthy, pretty remote area so probably not worth stripping as too far out, and a long way to transport metal for melting down. 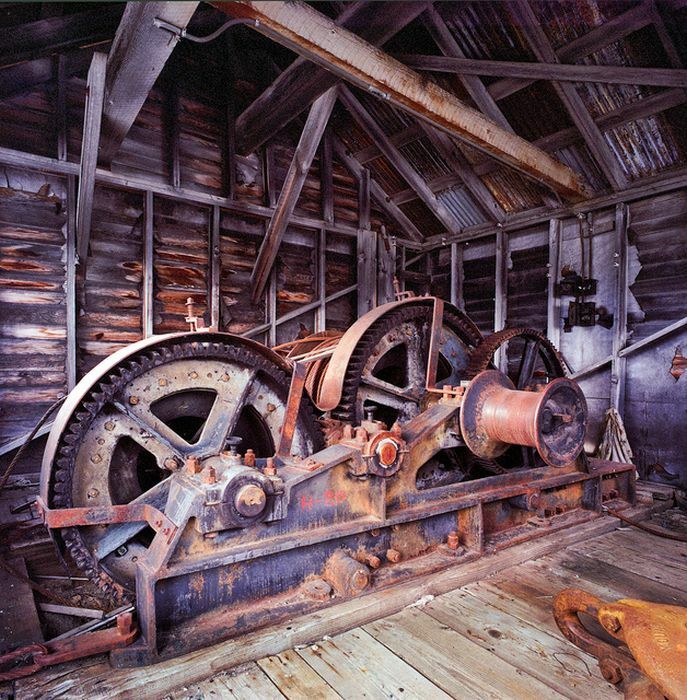 Best let it entice the brave few out to look round and marvel at what once was. 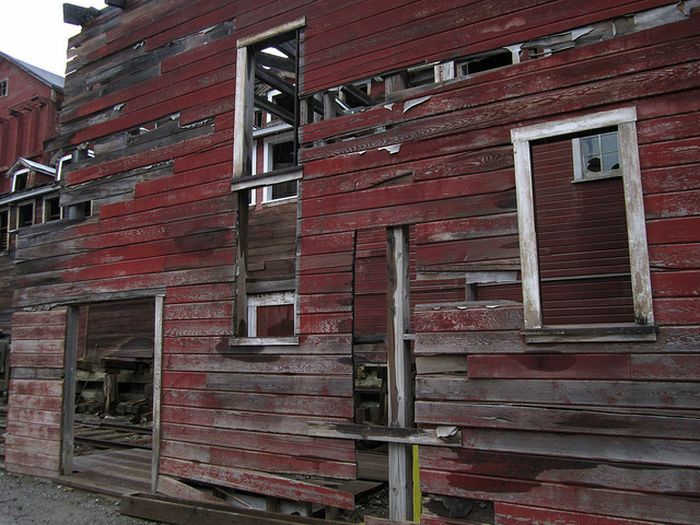 I think you can write a book what all happened there.